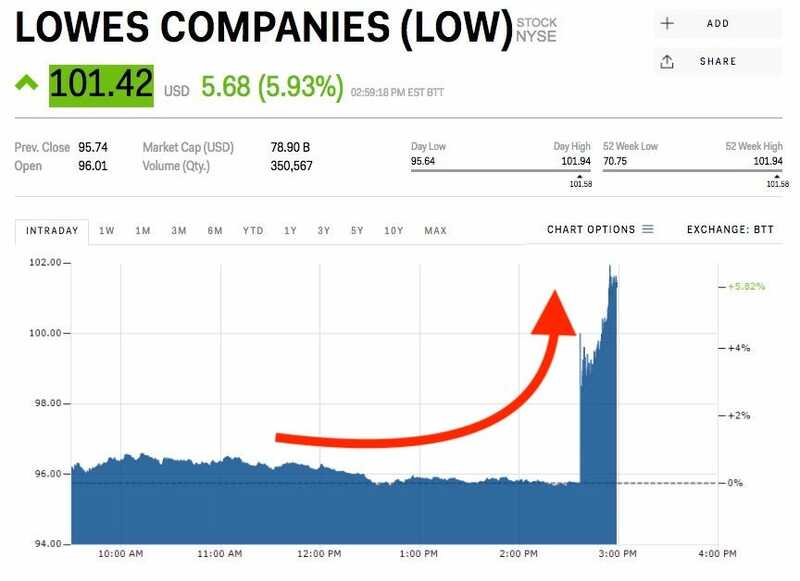 Shares of Lowe’s, the home improvement retailer, jumped more than 6% after Bloomberg reported an activist investment from D.E. Shaw, a quantitative investment firm, on Friday. The size of the investment is unknown, but a 0.12% stake in the company was disclosed by D.E. Shaw in November, according to Bloomberg. D.E. Shaw plans to use its investment in the company to ask for changes that could increase shareholder value, Bloomberg said, citing unnamed sources. Lowe’s is expected to report earnings of $0.86 per share on revenue of $15.335 billion. Rival Home Depot also jumped after the news, gaining about 1.89%.